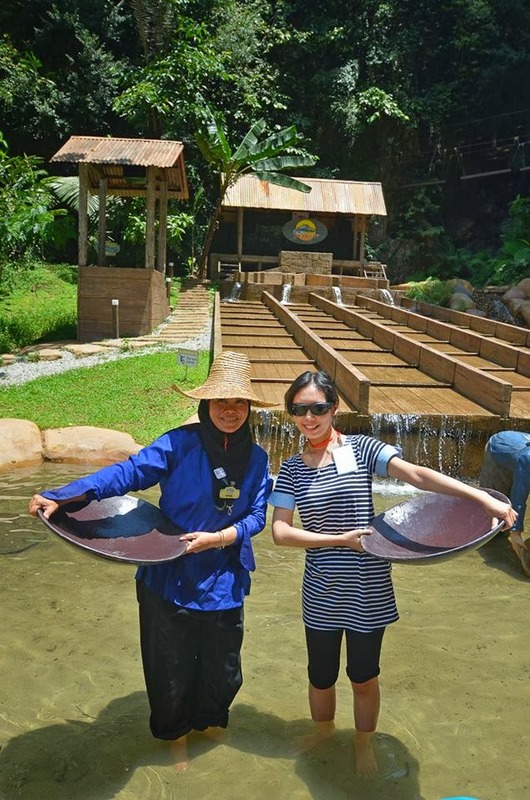 Okay, here come my second post about the Lost World Of Tambun, if you miss the first one, here it is. Today, I am going to review about the Hotel in Sunday Lost World of Tambun. This is a classical twin-beded room! Perhaps we are too tired after a long day of outdoor activities. The bed is so fluffy for us! And so as the blanket, the pillow! I knew normally people don't write about bed in hotel but I have a good slumber on the night, its so soft, that turn me to slack (berat tulang). Well, I think its a good sign, it shown my holiday mood turned on! Did you see what I see? Ipoh White Coffee is serve to guest! Have a sip and headed to souvenir shop to bring Ipoh White coffee home if you like them. These is the toiletries I like about. I seldom see a hotel that provide bathrode.2 pieces found here. Another thing is that I didn't bring toothpaste, Lost World Tambun is considerate enough to provide us with these things. =) The toothpaste really suitable for a person like me who don't bring toothpaste everywhere. Nope Nope Nope, I do brush everyday, but I borrow toothpaste from others. If you ask me if the toothpaste is okay or not? Yes, it is same like the Colgate and the Darlie double action Malaysian use everyday. 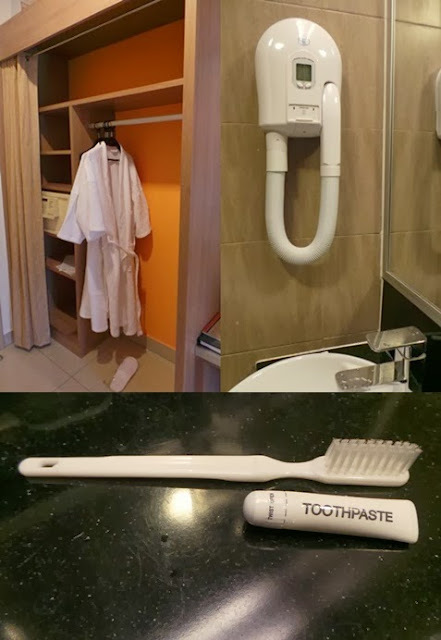 So Peepo, I have given you a tips that you can lessen your luggage by bring no toothpaste, it can last for approximately 4 days for 1 person use. As for the toothbrush, I used my own, I advised you to use your own too. The bristle of the toothbrush is hard for tooth. That's the toiletries available. The right side one is shaver kit. The bridge linking from one building to another. Other than Garden Terrace where we have our breakfast buffet, and the Salsa club operating at night, and a food court inside theme park. PapaRich is the only eatery in this building. And the PappaRich there is self service too. To solve this, you can go Qiant hypermarket there, or shop lots nearby that mostly serve Malay cuisine. Of course, the hotel is only within walking distance to Lost World Theme Park. After a long outing, splashing water, swamp in hot spring, let the toxin evaporate out of our body, it feel so good to lay slacky on the plump bed, that's the point of Holiday,right? Till then and hint for my upcoming post. And great news to MBF, Citibank, HSBC and Maybank card holder, you are entitled 60% off the room rate! Check Sunway Lost World Hotel to view more!